Summer is here, time to learn about getting rid of bees! With this warmer weather, larger numbers of bees will soon be on us. With a number of different species of bee living in the UK, knowing how to treat them can be difficult. 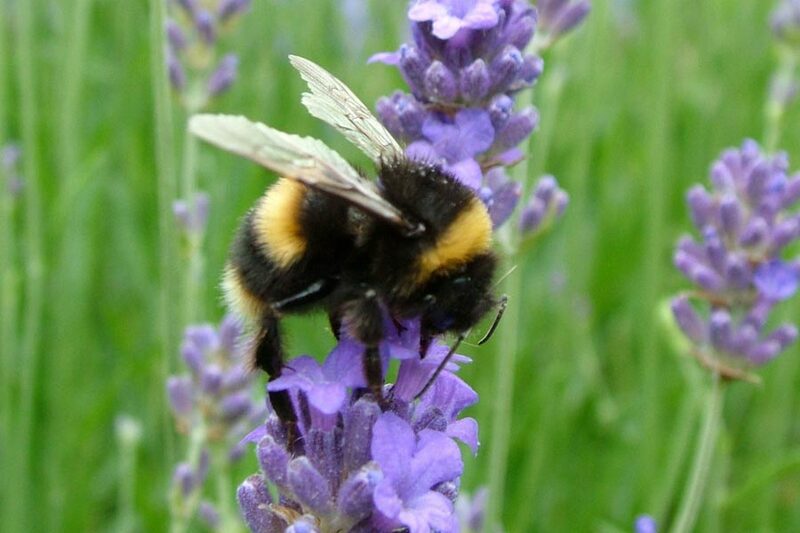 This article will outline the key features to help you recognise the common species as well as information on getting rid of bees should they be a problem. DISTINCTIVE FEATURES: This is a very distinctive bee being larger, rounder and furrier than other varieties. The Bumblebee has stripes across the end of its tail that can vary in colour. WHERE TYPICALLY FOUND: Bumblebee nests can be found underground: in abandoned burrows, beneath decking and compost bins, others can be seen above ground in thick grass or piled leaves. DISTINCTIVE FEATURES: These bees are only recently seen in the UK, they have very distinctive banding with a tawny to reddish brown thorax, a black abdomen and white tail. Young bees will also have a small amount of yellow fur on their faces. The worker bees are quite small but the queen will be much larger. WHERE TYPICALLY FOUND: Tree bees tend to nest above ground, in bird boxes or crevices of buildings. People are often concerned by the chattering noise, which can be heard from the hive, as well as the common appearance of drones in and out for ‘surveillance’. DISTINCTIVE FEATURES: These bees are small with black bodies and red-brown bottoms. WHERE TYPICALLY FOUND: Living up to its name, these bees rarely group in large numbers, they are commonly seen moving in and out of small holes in the wall or earth. They nest in pre-existing cavities in walls or can tunnel to build nests in soft mortar. Despite this, they do not compromise the structural integrity of your property. DISTINCTIVE FEATURES: These bees are small with colour varying from golden brown to near black. A distinctive feature of this species is that, unlike other bee species, they can be seen in swarms. Now we are up to speed on recognising the species of bees that you may come across in the UK. Next we will discuss what to do if a nest becomes a problem. Leave them alone – Depending on the location of a nest, leaving the bees alone may be the best option as they can be a positive presence for crops and gardeners and large colonies can decline naturally towards the end of July. However, any time that a nest is found close to the home or workplace then the welfare of residents, children and pets is the primary focus. Relocation or eradication should then always be carried out by a trained professional. Relocate – A local beekeeper or pest controller can be called for getting rid of bees if they nest in areas such as bushes or sheds, becoming a problem. Should you have trouble with honeybees it is advisable to contact the British Bee Keepers Association (www.bbka.org.uk). They may be able to send a swarm collector to collect and relocate the swarm for free. If it is not possible to remove the nest for example, due to a dangerous location, the next step should be considered. 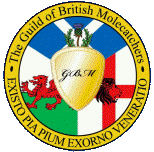 Eradicate – Treatment of a nest must be reviewed and carried out by a trained professional who is a member of the British Pest Control Association. The professional will have access to insecticides not publically available. The option to treat is dependent upon whether the points of entrance to the nest can be sealed following treatment. The measures that will need to be taken following treatment will vary depending on the species of bee. Bumblebees and Tree bees: It is essential to block entrance points to ensure only target bees are contaminated as well as to prevent bees returning to nest in that area in the future. Solitary/Masonry Bees: As these bees can tunnel, thorough repointing with sound mortar is the sole long-term solution. However, should there be any gaps the bees will often find them. 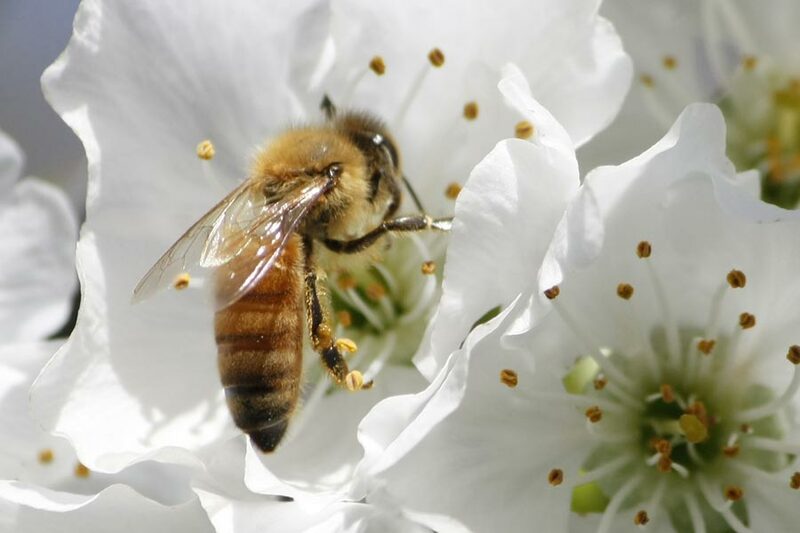 TP Pest Control are wildlife-aware experts in getting rid of bees. We will always attempt relocation if possible, but also practice the most modern methods of eradication. If you have a bee’s nest close to your premises or in an awkward to reach spot, we can help. We hope that you have found this article helpful! TP Pest Control Services are fully registered and insured pest controllers in Dorset. Our fully qualified technicians are on call 7 days a week. We offer a free site visit, so if you require help getting rid of bees at your home or business, get in touch.